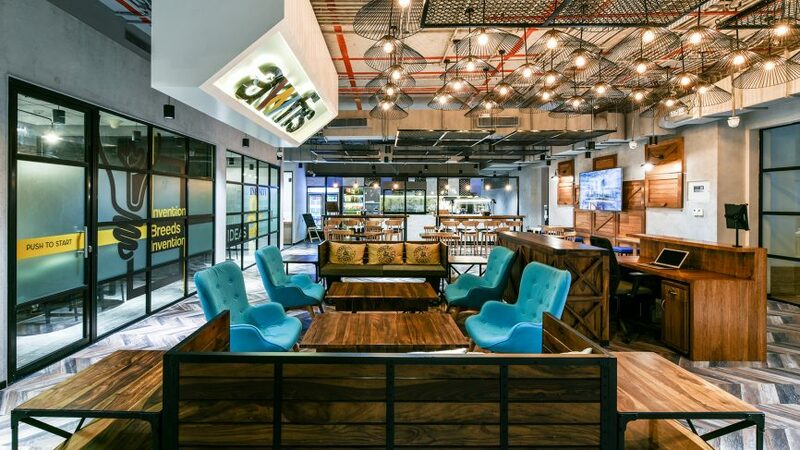 New Delhi, Jul 25 (PTI) Co-working operator Awfis today said it has raised USD 20 million (about Rs 137.57 crore) from a few investors, including Sequoia India, for expanding its operations. The demand for flexible workspace is set to accelerate as over two-third of global corporates plan to increase their use of flexible co-working and collaborative space over the next three years, according to new’ research from Knight Frank. The research surveys senior executives at 120 global companies which collectively employ in excess of 3.5 million people worldwide and occupy an estimated 21.65 million sq.rnt. (233 million sq.ft.) of office space, equivalent to the total amount of office space in Central London. The research shows global corporates intend to operate increasingly from flexible, serviced and co-working spaces, which create a more collaborative working environment and offer freedom to expand and contract quickly according to market conditions. Shishir Baijal, Chairman & managing director, Knight Frank India said, “With changing perceptions of office, the workplace is now being looked at as an environment that needs to be managed and optimised. It is being viewed as an instrument that could drive a dynamic and vibrant culture of corporate productivity impacting financial, cultural and environmental ethos of the organisation. These co-working spaces are based around the concept of a collaborative work environment, spurred by a sense of community, creativity and innovation. India too has hopped onto the bandwagon and is witnessing a proliferation of demand amongst start-ups and SMEs, buoyed by the government’s concerted efforts in creating a sustainable ecosystem for entrepreneurs alike. The co-working phenomenon is gaining wider acceptance with the mainstream Indian occupier as big corporates today constitute approximately 50 per cent of the overall client roster. India is at the cusp of a co-working revolution with several large players spread across the country. There are close to 200 co-working operators running an estimated 400 shared workspaces across the country today, compared to just Regus and few other players in 2010. The potential market size for the co-working segment across India, currently stands in the range of 12-16 million sq.ft. Co-working industry is gaming the momentum in the country by winning the perception of new age professionals as well as globally renowned firms. Professionals demand for services that can add value to their business and help them grown. “Co-working is not only building a community to connect beyond work but it is also giving a wider connect to the co-workers to ideate and explore more,” says Ritesh Malik, founder & CEO, Innov8 Coworking. A serviced office space model is the need of the day in to-day’s work culture as it helps in keeping up with the work structure and working mind-set of today’s youth. Managed and optimised working space also fosters in making the work space highly operational and convenient. “With Skootr, we strive towards achieving the objective of offering serviced office spaces in line with the requirement of our clients. We aim to be the leader in offering the best serviced and managed office spaces,” proclaims Puneet Chandra, founder of Skootr. Nakul Mathur, managing director, Avanta India, which is a high-end co-working space provider, is of the view that co-working space is another leading segment which provides massive benefits like optimum and productive use of office spaces. In co-working we can avoid the idle and waste spaces of office and convert them into productive one by using’ it for meeting, training sessions and many more. “Earlier, while selecting spaces companies had to project the manpower of next couple of years, prepare the budget accordingly and acquire space in commercial buildings. However now, corporates can acquire space as per the current scenario and can extend the office when required, this would be cost effective and also ensures more flexibility as per the trending market,” says Mathur. More than one-third of India’s population comprises millennials, and to attract this pool of talent companies need to relook at their office design strategy to satisfy this generation’s aspirations and lifestyle. “Besides swishy spaces, tech-savvy millennials also prefer their workstations to be completely technologically equipped – offering hyper-connectivity solutions and state-of-the-art infrastructure,” says Anuj Puri, chairman, Anarock Property Consultants. All types and sizes of firms are now embracing the new reality of employees’ expectations for a technology-enabled style of working. “At Eccosphere, we think that the ideal workspace should be able to foster innovation and creativity, improve communication and collaboration, and help establish stronger connections and finally a workspace that inspires its members,” emphasises Gautam Duggal, co-founder & CEO, Eccosphere. Awfis, being one of the largest co-working space providers in India, has led this revolution amidst the ever-changing office-space dynamics. “We continue to work relentlessly to create functional spaces that imbibe ethos of engagement, enablement and experiences,” state Amit Ramani, founder & CEO, Awfis. Today, with increasing competition in the office space spectrum, most co-working space providers are proactively seeking service differentiators to expand their businesses, whether it is a private office space or a shared desk, co-working space owners are customising solutions based on one or a mix of the above models. “In a bid to increase revenue share, co-working spaces frequently rent out space to various industry forums and event organisers to conduct corporate events, conferences and hold roundtable meetings as well,” affirms Shrinivas Rao, CEO-APAC, Vestian. Moreover, co-working is proving to be cost-efficient by nearly 15-25 per cent by cutting down rental costs, fixed-capital investments and property maintenance. Companies today are open to different ideas and strategies when it comes to office space optimisation. The strategy is to look at co-working environment which provides ready to move in office spaces besides making their real estate costs ‘variable’ instead of ‘fixed’. The better part of this co-working space is that managing and maintaining the place is the responsibility of the second party so therefore it saves a lot of unnecessary pressure and payroll cost to the corporates. “Most of the start-ups with smaller teams and tight budgets prefer co-working spaces as they offer them great offices spaces with minimal or low capital expenditure,” says Gaurav Marya, managing director, RE/MAX India. You can find innovation and ground-breaking ideas bouncing off the walls of a co-working space. The wave of creativity that flows within them is contagious. This cannot only help start-ups but also large enterprises discover new roads towards growth. “At Vatika Business Centre, our co-working spaces are optimised for productivity; helping a business of any size feel the joy of working,” says Gaurav Bhalla, MD, Vatika Hotels (Vatika Business Centre is a part of Vatika Hotels). With boundaries blurring between work and home and people looking at work-life integration, the pressure is high to build a place which is comfortable and provides a high flow state percentage. “We are constantly working to make co-working spaces a better rounded, community-driven, opportunity pool, simultaneously making sure that teams are not disturbed or distracted. Co-working makes work a period of time where you mingle with people from extremely diverse backgrounds working on extremely different ideas, where you learn and teach, simultaneously,” asserts Mishu Ahluwalia, founder, Gohive. In India, the future of co-working spaces looks bright. It is slowly catching on across prime Indian property markets, with the segment reporting around three-fold growth over 2017. Properly managed and optimised in actual usage, co-working will play a major role in shaping the future supply-demand dynamics effectively, by changing the way the serviced office industry evolves. “Estimates suggest that over the next few years, with office rents continuing to move up across India, the total space leased by co-working operators in tier-1 and tier-2 cities could touch 6-10 million sq.ft, by 2020,” updates Niranjan Hiranandani, president, NAREDCO. According to Gaurav Kashyap, chief executive officer, Cherry Hill Interiors Private Ltd. Co-working has a great future in India and coincides well with the start-up India and the culture supported by the government. “Coworking spaces have arrived and is the future, which is also aligned to the vision of Cherry Hill to help its clients achieve future of workplace,” avers Kashyap. As per various recent reports and surveys, Praveen Prabhat Peter, country head, operations and business development, Apeejay Business Centre, stipulates that the demand for co-working space is expected to increase by two to three fold by the year 2020.